The 2014 Virgo Birthday Reading is ready now -- and this is your last chance to purchase for $34.95. Wednesday morning, the price will go up to $49.95. You can listen now to a free 15-minute preview of the reading. Eric's audio readings invite you to tune in and engage in a way that let's you meet him in a space that's more like a counseling room than a podcast or database-generated chart analysis. And you'll have a rare opportunity to ask Eric your own questions during a live question and response session that we'll be scheduling sometime in the next couple of weeks. The full Virgo Birthday Reading consists of two astrology segments (approximately 20 minutes in length), a tarot segment using the Voyager Tarot by James Wanless, photos of the charts and tarot spread, an extended sign description and access to last year's reading to check Eric's accuracy. 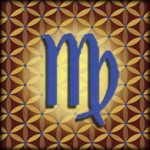 Remember, by pre-ordering the Virgo birthday reading now, you'll save $15 off the published price. PS -- This reading will make an awesome gift for you or someone you love who has Virgo Sun, Moon or rising. Copyright © 2014 by Planet Waves, Inc. All Rights Reserved. Other copyrights may apply. Some images used under Fair Use or Share Alike attribution.